Trew Audio is devoted to the art of location sound recording for film, video, and television production. From our Los Angeles, Toronto, Atlanta, Vancouver and Nashville offices, we sell, rent and service pro audio equipment for motion picture sound production in markets worldwide. We have customers in all fifty United States, and in dozens of countries. Our Canadian branches provide local service for the major film production centers of Toronto and Vancouver and offer regional support to eastern and western Canada. We understand the urgencies of your profession. We know what it’s like to feel the heat of the director on your back when they are losing daylight and your recorder develops a mind of its own. 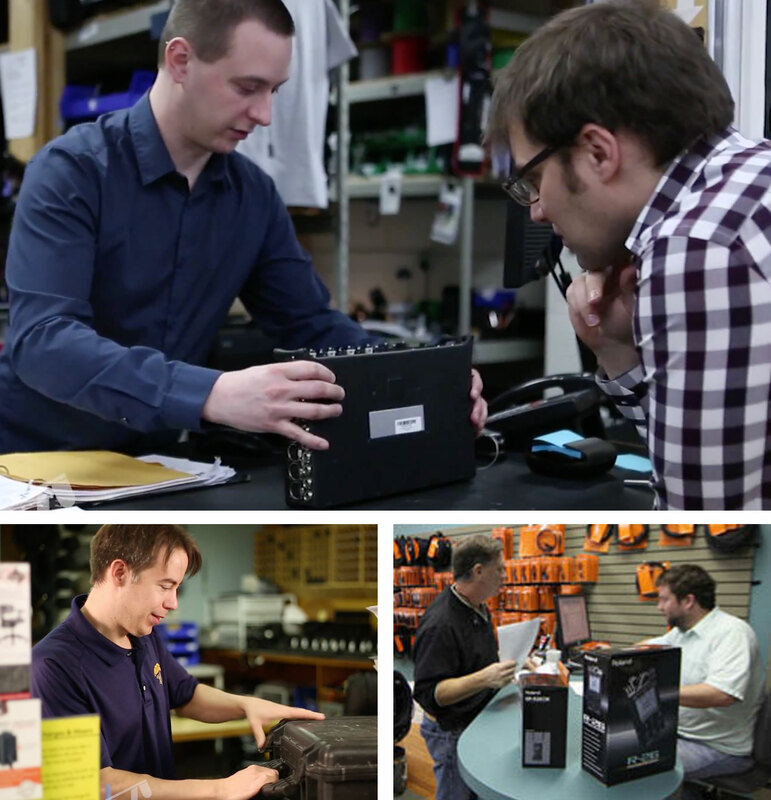 When you call Trew Audio, someone will be available for you with hands-on experience in the very situation you’re in, whether it’s feature films, MOWs, sitcoms, commercials, ENG, documentaries, music videos, or whatever, to take care of your equipment requirements. This is why Trew Audio is the preferred choice of sound professionals worldwide looking for just the right equipment in this highly specialized field. Our showrooms tell you instantly that sound not only takes center stage, it’s our entire stage — surrounded with equipment and accessories that the pros choose from for the tools of their craft. Along with the latest tools of our trade, we have a collection of vintage Nagras and choice pieces of used audio equipment, offered for sale in our popular consignment program. We are known for our personalized approach to serving our customers. We strive to be of genuine value to our clients by being an expert source of equipment, service and information, with the experience needed to help you make the best choices for your line of work – and still be there afterwards, willing and able to answer your questions. So, while we are dedicated to being conscious of your costs, being your best overall value is always our top priority. That’s the source of our pride, the reason for our growth and our constant commitment to our customers.